What is a king without a queen? Callia is chosen to be the next potential Bride of the king, a man many call a demon. Will she die like all the Brides before her? Can she survive in a place where nothing is what it seems, facing fear and friendship, love and betrayal? For the castle holds a secret only a Bride can discover. I try my best to take inspiration from anywhere. Even though I may have similar themes as other authors’ works, I do my best to add my own flare to make it unique. Read books in the genre you’re interested in writing. Let other people read your stuff. Don’t give up! 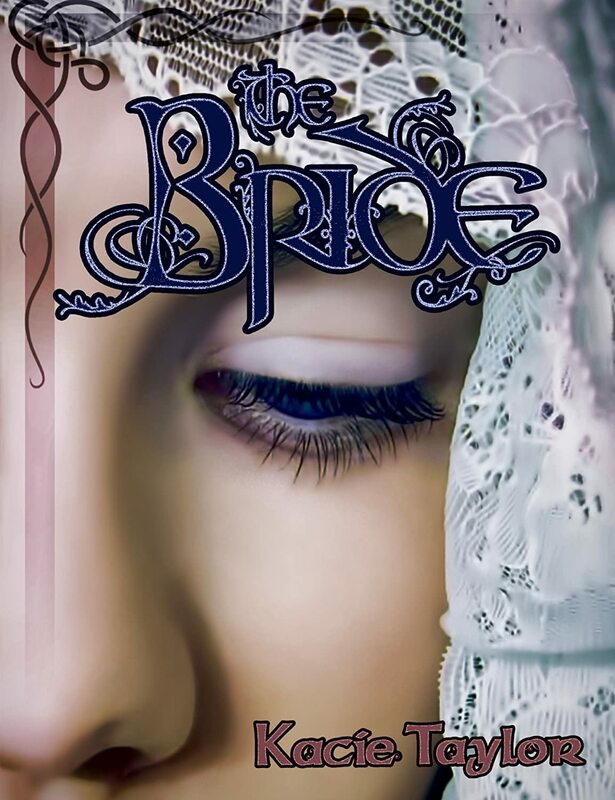 The Bride is my own twist on the classic story of Beauty and the Beast. I’ve always loved that story, but have often disliked how the Beast character was portrayed. I didn’t like that he was so animal-like. I wanted a version where he was more human while retaining his ugly exterior. Kacie Taylor lives in Utah with her handsome husband. Even though she would love for writing to be her full time job, she would write just for the joy of it. She has so many characters and settings in her head that she needs a way to set them free. When she isn’t writing, she is reading, drawing, painting, crocheting, cooking, eating, spending time with family, watching TV, or snuggling with her husband. She has four YA fantasy books published. For more info, check out her blog.